Over the last few weeks, we have seen a shocking surge in violence in the Holy Land Innocent people on both the Jewish and Palestinian side have been killed and wounded This new wave of murderous acts is a disaster - Following the news, even seeing the pictures, shakes every person with a heart to the very core. The Torah teaches that man was created in the image of G-d: “And G-d created man in His image” (Genesis 1:27). Every human being in the world, regardless of race or background, deserves respect because of that G-dly image, and certainly deserves not to be harmed. “Thou shalt not murder” is one of the Ten Commandments. Anyone who commits murder against G-d’s creatures, no matter who, will be punished by G-d most severely on the Day of Judgment. And the converse is even truer: whoever uses his abilities to prevent bloodshed or harm to others will be richly rewarded. The merit of saving lives is the greatest merit a person can attain for the Future World. The pain is even greater when those uninvolved in the conflict are among the victims and wounded. These people, whether Palestinians or Jews, have become caught in the crossfire of a conflict brought on by an ideology that they are completely against. Some of the victims were Jews who believe that it is forbidden for the Jewish people to have any Jewish sovereignty in the Holy Land. Coming from communities that predate Zionist settlement, today they find themselves living under a Zionist-dominated country, and they have nowhere else to go. As if it weren’t enough that they are imprisoned, so to speak, in the State of Israel, they are now finding that they have to pay the bloody price for Zionism as well. The situation is unbearable. The current wave of violence first began after some highly-publicized Jewish visits to the Temple Mount. Actually, according to Jewish law it is absolutely forbidden to enter any part of the Temple Mount nowadays. This ruling was agreed upon in 1967 by all rabbis from all Jewish communities. Rabbi Yitzchok Weiss published a lengthy ruling explaining the reasons for the prohibition (Minchas Yitzchok v. 5, Chapter 1). At the same time, 300 leading rabbis from all Jewish communities in the Holy Land, including Rabbi Shlomo Zalman Auerbach, Rabbi Yosef Shalom Elyashiv, Rabbi Ovadiah Yosef and even the State of Israel’s chief rabbis, signed a legal ruling that “one may not enter any part of the Temple Mount, lest one accidently violate the purity of the holy site.”And just this month, the Rabbinical Court of the Eidah Chareidis of Jerusalem issued a statement reiterating the ban. In today’s climate of conflict and tension, this prohibition has unfortunately taken on additional significance. Visiting the Temple Mount angers other peoples. The Torah provides that one may transgress most of its commandments in order to save a human life, but these Temple Mount activists transgress the commandments and thereby place Jewish lives in danger. How can these people be so reckless and irresponsible? The status quo for the last two thousand years was that Jews did not visit the Temple Mount. There is no reason not to continue with the status quo. In light of the fact that entering the Temple Mount is forbidden by all Jewish legal authorities, it makes no sense to judge Jews and Judaism by the actions of a small fringe group of misguided individuals who do not even respect the rules of their own religion. Every society has a few such unbalanced people, and they do not reflect on the values of the society as a whole. The Israeli government should not be allowing these people to enter the Temple Mount at all. Now it seems that France has proposed sending a U.N. international observer force to the Temple Mount in order to prevent future violence. This is an excellent idea that could contribute greatly to saving lives and preventing violence. Torah-true Jews in Jerusalem and around the world greet this plan with enthusiasm and hope that it will pass in the Security Council. Furthermore, we hope that if this plan comes to fruition, it may become possible in the future to ask the U.N. to expand its realm of protection to the entire Jerusalem. In 1947, Rabbi Yosef Tzvi Dushinsky, chief rabbi of Jerusalem, requested that the U.N. take Jerusalem under its authority as an international zone. Today we are talking about only a U.N. observer force, but even this has the potential to keep Jerusalem safer than it is under the current Israeli policing. The Israelis see the French proposal as an encroachment on their sovereignty, but we must remember that the Torah’s perspective is that their entire state is not worth one human life. One of the greatest rabbis a century ago, Rabbi Chaim Brisker, once said, “There have been many heretical groups in Jewish history, but Zionism is the worst because its heresy focuses on the center of Judaism.” All past heretical groups have tried to lure Jews away from Judaism, but only Zionism had the audacity to try to transform Judaism itself into a new ideology of nationalism, and to transform the traditional Jewish character completely. And unlike all past breakaway groups, they have the nerve to claim that they represent the Jewish people – that they are the real Jews. The Torah teaches Jews to be a low-profile, mild and peaceful people in the world. 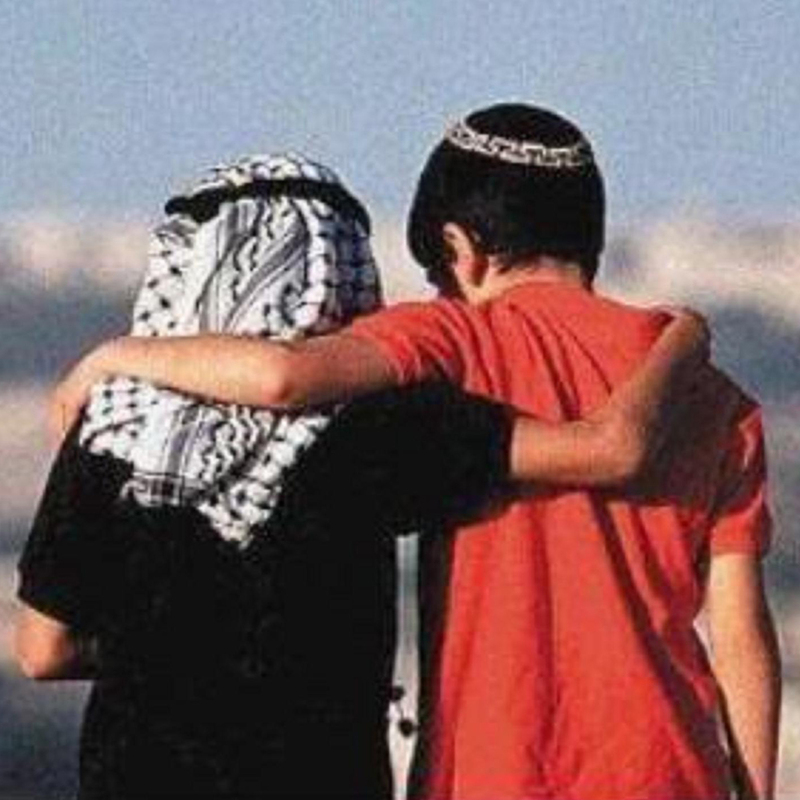 The Talmud says, “G-d found no vessel that could hold blessing other than peace” (Uktzin 3:12). Maimonides writes (Chanukah 4:14), “The Torah has come only to bring peace to the world. Its ways are ways of pleasantness and all its paths are peace (Proverbs 3:17).” The Talmud says that Jews are distinguished by three traits: mercy, shyness and kindness (Yevamos 79a). Whoever is generous and humble is a disciple of Abraham our father (Pirkei Avos 5:19). Love your neighbor as yourself, do not take revenge, do not bear a grudge, do not steal, do not covet… all these are commandments in the Torah. The Talmud condemns all cruelty, even to animals. “Causing pain to an animal is a Torah prohibition” (Bava Metzia 32b). When Rabbi Yehuda Hanasi saw his maid about to sweep some baby weasels out of the house, he said, “Leave them, for G-d’s mercy is upon all of His creations” – and in that merit he was healed from a painful sickness (Bava Metzia 85a). Rebecca, one of the matriarchs of the Jewish people, was selected because of her kindness and good heart. She gave water to Abraham’s servant and then offered to draw water for all of his camels (Genesis 24).The Torah makes it clear that it was this good trait that formed the foundation of the Jewish people. The Torah forbids converts from Moab and Amon from intermarrying with Jews, because those nations failed to bring out bread and water to greet the Jews as they wandered through the desert (Deut. 23:5). Clearly, G-d wanted kindness to others to be in Jewish DNA, and he didn’t allow Jews to mingle with others who lack that trait. The Torah says, “Love the stranger, for you were strangers in the land of Egypt.” The Torah forbids Jews to hate Egyptians, even though they enslaved us and cast our children into the Nile, because, after all, Egypt took in Jews at a time when they had nowhere else to live. (Deut. 23:8 with Rashi’s commentary). That is how far our appreciation must go for those who have helped us in any way. Over the last two thousand years, since the destruction of the Temple, Jews have been persecuted, not persecutors. During all that time, until the rise of Zionism, there was no case when Jews ever killed or harmed others. Jews haven’t survived two thousand years because they had a country and an army, but on the contrary, because they did not have either of these. The other nations of the ancient world, who had large countries and mighty armies, are completely gone today. The Jews’ secret of survival is their spirituality, their religion. Because they listened to G-d’s command and did not found their own sovereign state, only kept the prophetic command to seek the peace of their country (Jeremiah 29:7), they are still here today. Seen against this background, the Judaism of the settlers is really a new religion. They comprise a very small percentage of the Jewish people, and cannot claim to represent mainstream Jewish thought. Their reckless actions are alien to the average Jew. They put a Biblical façade on their enterprise, but in reality they are simply caught up in the nationalist spirit of our times. Many of these people are simply naïve and haven’t given the matter sufficient thought. We have to explain to them only the Torah is our faith, while Zionist nationalism is a type of idolatry. The Jews of the settlements, instead of being devoted to the Torah’s commands, are devoted to idolatry, and they sacrifice their own children’s lives on its altar. Unfortunately, Zionist activists take advantage of these Jews, who don't know what real Judaism is about. They convince them that extremist settlement activity is the path of the Torah, when – in truth – it is the diametric opposite. Then, the Zionist government simply uses the settlers as cannon-fodder to expand the State. We have to blame those who brainwashed the settlers - organizations that travel the world advocating for aliyah, and the Israeli government, which builds the settlements or closes their eyes while illegal settlements are built and expanded. The international community has already invested much money, effort and diplomacy to bring peace to the Middle East. But educated Jews also have a role to play. We have to explain to Jews in France and America that they shouldn’t immigrate to Israel to add to the problem. And Jews who already live in Israel should return to their home countries. Their spiritually leaders must explain to them that in Israel, they will live in fear for their lives for no reason, and they will get no reward from G-d for it. Ideally, we should catch them before they make their foolhardy decision to become settlers, and explain to them that the settler lifestyle is not in their own best interest or the interests of their families. There is no future there. They are not fulfilling any Divine commandment by going, only a sin. It brings them no benefit physically or spiritually. These Jews are making a life-changing decision - surely, if one were to succeed in at least introducing doubt into their minds, they might think twice. Religious Conflict, or Political Conflict? The Jewish people and the Arab people enjoyed very good relations in the past in most places over the last two thousand years. Even while other nations persecuted us, we found refuge in Arab lands. We used to live side-by-side as cousins, doing business together, helping each other and attending each other’s weddings. All of this changed with the advent of Zionism. Zionism brought heartbreak for Jews in all places where peace once reigned between Jew and Arab, like Iraq, Syria, Lebanon, and Egypt. And certainly in Palestine, the situation changed to one of tension and hatred, occasionally erupting into actual bloodshed.